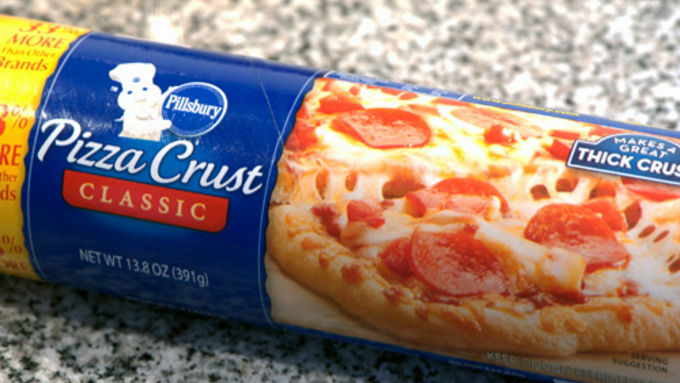 Preheat oven as directed on pizza crust package. 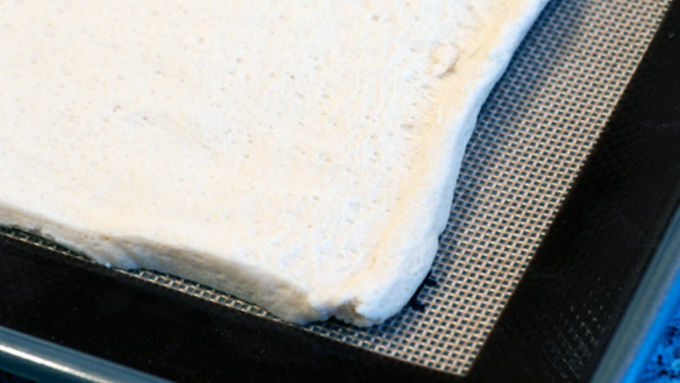 Unroll pizza crust onto a baking sheet (grease the baking sheet, or better yet, use a Silpat!). 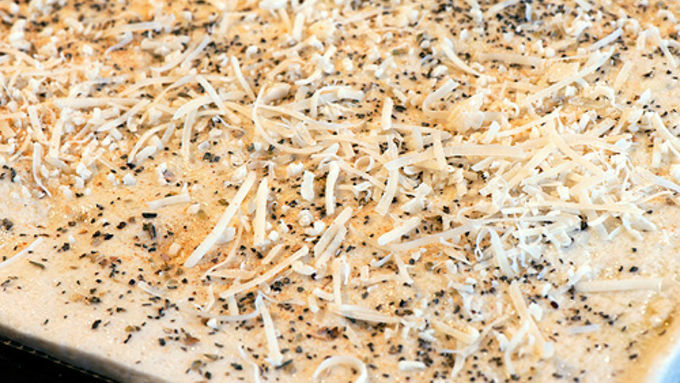 Spread with olive oil, and sprinkle with spices and cheese. The last thing any cook wants to be during their Game Day party is chained to the stove. You need something that can be made ahead and served cold, like sandwiches. But they need variety (you've got both bulky linemen and svelte kickers coming to your party and these days, at least one of the players will be a vegetarian), and they need to be easy! 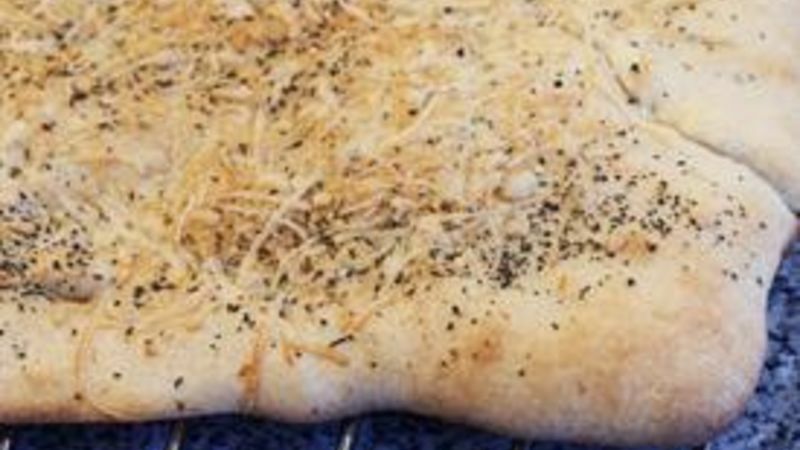 Luckily, all you need are a few minutes in the kitchen whipping up this nifty, semi-homemade focaccia (using Pillsbury pizza crust) for all your game day sandwich needs! The trick to making enough “sammies” to keep your game-day crowd satisfied, without being up all night the day before, is to use ingredients that you can multitask. A store-bought rotisserie chicken provides pizzaz that cold cuts just can't match. They can be dressed up (or down!) to suit the occasion and the crowd. Picking the meat takes just a few minutes, and you'd be surprised just how many sandwiches you can get out of one chicken! Use the white meat for daintier applications and use the dark meat for more robust sandwiches. Speaking of multi-tasking, jarred red peppers can do double duty as well, both in the chicken sandwiches and any vegetarian-friendly sandwiches. 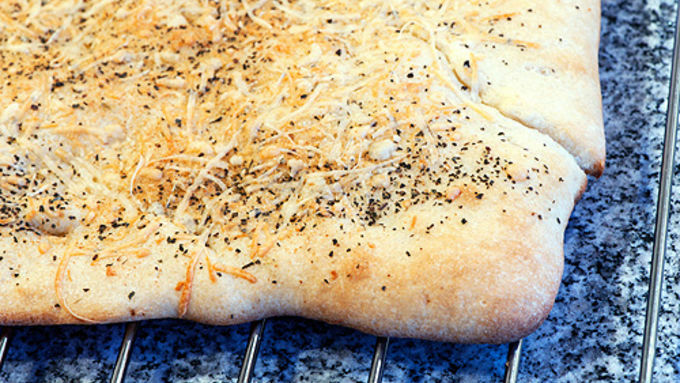 Then simply add your sandwich fixings onto your incredible homemade focaccia. Touchdown! For more sandwich wins, check out our collection of game day grub.